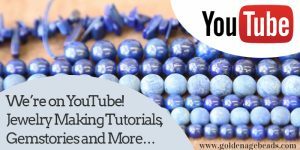 It is a beautiful blue stone that has been prized throughout history. The rich celestial shade of Lapis Lazuli remains a symbol of deep honor and royalty. The reason it is so prized is down to the stunning color and the valuable ultramarine dye that can be derived from the stone. Its name comes from both Persian and Latin tongues; Lazhuward meaning “blue” in Persian and Lapis meaning “stone” in Latin. The deeper the blue, the higher quality the stone is. Lapis Lazuli symbolizes truth and wisdom universally. Moonstone holds a strong sense of secrecy and mystery. It is considered a stone that bears truth from within. It was often worn as an amulet by travelers to give them protection in earlier times, especially when traveling at night. As a gift, it was favorited between lovers as a symbol of passion. 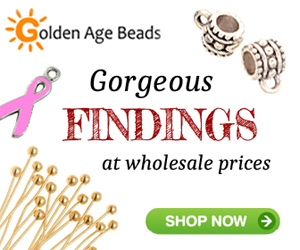 Most commonly seen in Roman jewelry designs, it has been used for close to two-thousand years now. Moonstone is also used in India as a traditional wedding gift. The shades most commonly seen are blue, peach, white, rainbow and gray; Each with their own deeper meaning. The stone is said to bring peace, wisdom and protection to those who keep it close by. Jade is known as a “blessing stone” and is said to bless whatever it touches. For close to six-thousand years, the stone has been prized not for only jewelry, but weapons too. In earlier times it was often used for knives and axe heads because it was such a strong stone and polished easily. China holds the most value over the stone even today for its healing powers and beauty. It is most commonly seen in green but also comes in shades of blue, white, brown, black, orange, purple, red and yellow. Jade today is used as a “dream stone” or a stone of luck both coming from the stone’s energy of blessings and wisdom. 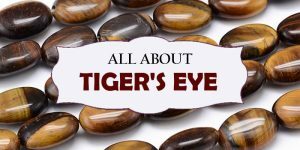 Tiger’s Eye is a stone often feared and revered for being an all seeing and all knowing eye. It is said to grant the wearer with a keen ability of observation to see with great clarity. In Ancient Egypt, it was used in the statue eyes of their deities. Often used to portray courage and strength, Roman soldiers carried the stone into battle. The colors of the stone showing deep browns with rich layers of gold made it appealing to be used for jewelry. 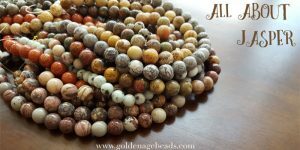 Throughout history, Tiger’s Eye is found to be sought after for good fortune, prosperity and protection. Green Aventurine is said to be the luckiest of all crystals. It is also often known as “The Stone of Opportunity” which goes hand in hand with what it is used for. Many people today and throughout history have worn the stone for luck in work, relationships and money. In the 1700’s, a glass worker in Italy was said to have accidentally dropped some metal filling into melting glass and upon it cooling, it revealed the Green Aventurine itself. For the striking green beauty of the stone, it was then made again and used for jewelry. Green Aventurine is said to bring luck to anyone who not only wears it, but is near it. 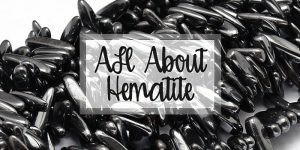 Onyx is most recognized for being the birthstone of December and being used to celebrate the seventh year of marriage for couples. In older times, this stone was used as a seal by the Romans for various stone inlay works. The rich black color of the stone and its strength also made Onyx ideal for use in rings and necklaces. In Greek, Onyx means “claw” or “fingernail” because of its appearance resembling that of a fingernail’s veins. Onyx is a symbol of inner strength, willpower and great discipline. Agate is also called “The Earth Rainbow” because of its ability to come in such various shades and layers of color. The stone is dated back to Babylon and was used as a stone of healing. Its history stretches across the world in different times, cultures, and countries. However, it was Germany that helped the stone become popular in the 15th and 19th centuries. This is also why we still see it today being used in jewelry. The stone is a banded and layered mineral from the Quartz family. The variety of color these stones can come in is huge. Agate may have many meanings around the world stemming from culture to color variation but overall the stone is seen as a symbol of strength and harmonization of negative and positive energies. Opal is not only recognized for being the birthstone of October but for its luster and reflective hues of color. This is a stone of mixed history. In Roman history it went from being the “Queen of Gems” to a stone rumored to be tied with misfortune and death. In the twentieth century it made a comeback and today, it is a very popular and well-loved gemstone. It comes in a numerous amount of shades including some very bright and some very dark. The most common color seen today is the Crystal Opal with translucent strikes of color and an almost neon rainbow effect. Opal is said to inspire hope, happiness, love and purity. Amethyst is known most commonly as the birthstone of February. It was used throughout history for its beauty and ability to calm the mind and sooth emotions. Another use was to prevent overindulgence and drunkenness specifically by the Ancient Greeks and Romans. By today’s standards it is considered a semi-precious stone but if you look back further in history, it was as prized as diamonds. This stone is quite common around the world today but its beauty and uses make up for its lack of rarity. The shades of this stone do vary from red to deep violet but the most commonly seen color is the vivid purple. While the meaning may differ between time and culture, the Amethyst is most known for being a stone of spirituality and peace. Turquoise is said to be the oldest gemstone known to man in human history. Throughout time, this stone was honored as a symbol of wisdom and nobility. To some cultures it was even considered to a symbol of immortality. 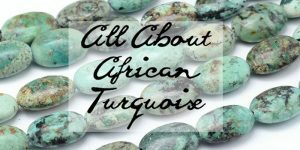 From the Ancient Egyptians to the Native Americans, Turquoise was considered a sacred stone of power, luck and protection. The blue-green hues of the stone and its light weight make it a versatile stone for carved figures, jewelry pendents and other accessories. While it is a more common stone, it is still treasured by many cultures today.